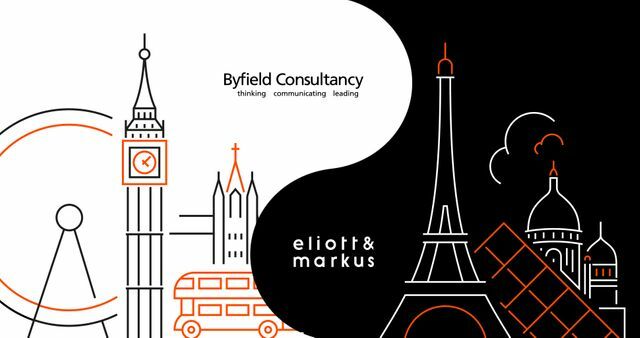 Leading UK and French legal PR agencies Byfield Consultancy (Byfield) and Eliott & Markus (E&M) have forged a pioneering strategic alliance which launches today and consists of more than 40 professionals dedicated to communication and marketing for the legal sector. The new alliance represents a formal agreement between the two partner agencies to work together on international legal sector clients who require European PR and wider EMEA representation and support. This is the first such partnership between two independent communications agencies who are dedicated to the legal sector and it will strengthen both agencies’ offering, with more than 40 PR and branding professionals now providing integrated cross-border support to legal sector clients. The strategic alliance will also act as the launch-pad for the formation of a global network of like-minded specialist legal PR and associated consultancies. Both E&M and Byfield have a leading track record in providing PR and communications advice to domestic, US and international law firms and currently collaborate on a range of cross-border legal PR mandates. Drawing on their combined strengths, the partnership will enable Byfield and E&M to offer clients operating in Europe an enhanced range of services across legal, litigation and crisis PR, content and campaign management, digital marketing, website design and branding. A key driver for the new alliance is to capitalise on the on-going development of both London and Paris as leading legal centres of excellence, attracting ever more international law firms to do business in these global cities. The partnership will also provide clients with a gateway to profiling their services in Africa via E&M’s Casablanca office, in line with the significant opportunities offered by this fast-growing market. Client mandates will be managed by staff based in London or Paris and tailored services will be provided by the relevant agency, depending on clients’ requirements. Byfield’s litigation PR expertise and thought leadership capabilities will be complemented by E&M’s branding, web and design hub, helping to unite clients’ messages with their digital identity and media presence.